There are no more excuses available for MPs who still fail to grasp the basic mechanics of Brexit. They've had long enough to weigh up the pros and cons of each position and to learn about the functions of European systems. Enough decent material, written both by experts and well informed scribblers like myself, has weaved through public debate, ironing up the creases as we've gone along. There is no reason for any more blatant cognitive dissonance. Yes, Chris Grayling and Esther McVey, I'm looking at you. Both Grayling and McVey had horrid 2018s. The former proved to blight and curse everything he touched, while the latter managed to spin together so much ignorance and so many lies that it is now pretty much impossible to work out whether she is deceiving when running her mouth about the consequences of a no deal scenario. So again we resort to having to waste time rebutting and correcting incorrect claims about some of the tenets of the Brexit debate. The first is Mr Grayling's claim yesterday evening, to top off what was a rather unsurprising Commons defeat for May, in which he told Sky News that keeping the customs union "effectively means staying in the single market and keeping free movement." The second was Esther McVey's (repeated) claim that the UK can sort out many of the No deal details out during the transition period after we have left the EU. Both comments are not worthy of ministers of the crown and this nonsense should no longer be tolerated by anybody sensible. Firstly, the issue of the Customs Union. An interesting debate circulated the world of Twitter today concerning whether, if they had to choose, Tory MPs would elect to stay in either the Single Market or Customs Union. My feelings on this are pretty clear. The Single Market is by a comfortable distance the more beneficial and useful of the two systems, being that it is an agent of regulatory conformity and responsible for removing a much larger portion of the checks away from the UK's borders with the EU. The Customs Union and Single Market are divisible frameworks. A country can have one and not the other, irrespective of whether that country is in the EU. It is correct to say that the Customs Union and Single Market are intertwined with one another in distinct and complex ways, particularly when it comes to the elimination of tariffs between members and, even more pertinently, with regard to protecting the integrity of the EU's internal market. But what is not true is Grayling's suggestion that one necessarily comes with the other. 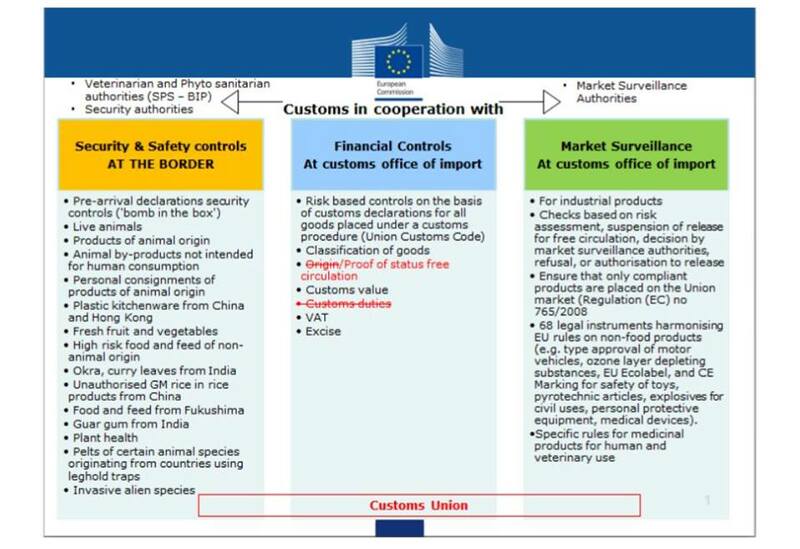 As explained previously, the checks in red are eliminated by keeping a customs union. Those in black are the exclusive competence of the single market, which creates not only a harmonised regulatory culture but also instils in the EU setup the assumption of regulatory conformity, something it achieves by organising checks on product standards behind the border through a complex market surveillance programme. This point is absolutely central to understanding the effects of leaving the EEA on the EU's enforcement regime and on our borders and supply chains more widely. The Single Market plays host to an intricate web of regulatory agencies that are responsible for cross-communication in the event of potential criminal activity and maintaining information on the completion of checks and the manner in which checks out to be carried out. Through a Rapid Alert System (RAS), agencies communicate with each other in order to weed out any counterfeit goods or general customs risks. 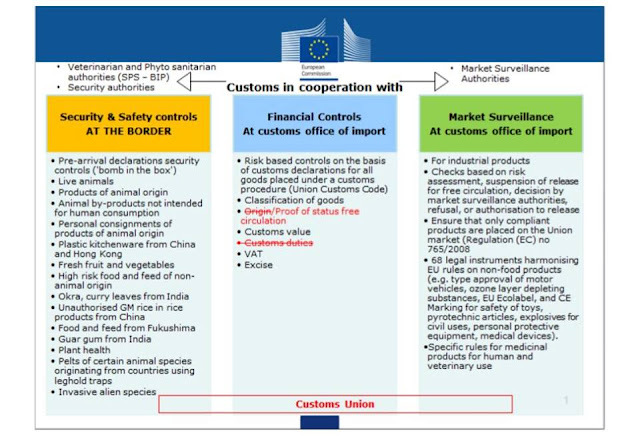 Customs is intelligence-led and the market surveillance programme is designed to facilitate information-sharing through complex databases and analysis. Member states are in constant contact with each other through this largely invisible system, ensuring that the free flow of goods can continue for exporters and importers, and that fraudsters can be caught and prosecuted if necessary. The Customs Union works a lot more simply. Customs checks imposed upon British exporters in the event of an absence of a customs union will be pretty painful for some, but they are merely a drop in the ocean when we compare the impact with the impact of leaving the Single Market. Keeping a Customs Union only necessitates the removal of a rules of origin border check and tariffs between ourselves and the EU. In many ways, then, it would be dishonest to describe a Customs Union Brexit as a soft Brexit. Not much is eased or softened at all. We still have a whole sea of product standard checks to tackle. The point here is that the Customs Union and Single Market are responsible for dealing with different areas of trade policy. With customs we are examining whether the right tariff has been paid. With regulatory checks we are ascertaining whether a good meets the relevant quality specs. 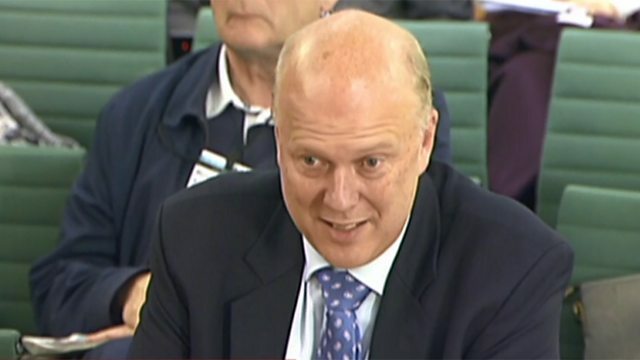 And as for the free movement aspect of Mr Grayling's claim, I don't suppose he is making a direct linkage between the two, but if he is he is not fit to sit in May's cabinet. Customs and immigration are nothing to do with one another. McVey's claim about the transition period is equally disturbing but I can see where it might be confusing to members of the public not familiar with the nature of sequencing. To recall: first, we leave on the terms set out by a withdrawal agreement (which must include a backstop), then after we have left and settle into temporary transitional terms outlined in the withdrawal agreement, we can start to mould together the characteristics of the future relationship and the political settlements. This is all there is to it. What McVey is suggesting is that the transition period (also called the implementation period) exists independently of the withdrawal agreement and sources the authority of its existence from somewhere else. My question therefore would be: where exactly? No other text, be it Article 50 or an EU Treaty, accounts for such a transition period. To reach the transition period you have to ratify the withdrawal agreement, because that is where the transition period comes from. This really is child's play. In some ways our politicians deserve to be in the crisis they are currently in. If they can't be bothered to digest the elements of our withdrawal that actually matter then perhaps they are not fit to serve public life. Great apart from the last two sentences. It is inaccurate and unfair to lump in all politicians together. I'd prefer: We are in this mess because *some* politicians can't be bothered (or do not have the intelligence) to digest the elements of our withdrawal that actually matter. They are not fit to serve in public life. Do you think there's a danger that your arguments have been thoroughly co-opted by liars and charlatans, and that the costs of the Brexit we're likely to get will significantly outweigh the benefits*? In the main the UK's 2016 EU Referendum was a good-to-honest Leave referendum result brought about not by the will and cajoling of elites but by self-willed honest folk in the shires and byres casting a choice they couldn't believe had been gifted to them - knowing that in this particular magical ballot, unlike others that manipulate choice, each and every vote meant each and every individual's carefully inscribed 'X' mattered and would be counted. Such power in that incredible 2016 EU referenda 'crucifix' for every voter - Eh? There is absolutely no evidence even with all that esoteric hocus-pocus stuff winkled out by investigative nerds post referendum result had any influence on honest-to-goodness Brexit folk's voting pattern. The shocking nature of the UK's EU Referendum result, which against all the odds, took so many by complete surprise including Brexiteers who awoke and thought they’d gone to Heaven - tells us all that dissatisfaction with the EU and with successive UK government's below stairs manner toward the EU inadvertently ensured Brexit success on that fateful 2016 referendum day. Brexit is a manifestation of particular resentments that had simmered for a very long time that all of a sudden found democratic expression. "Both comments are not worthy of ministers of the crown and this nonsense should no longer be tolerated by anybody sensible"
Well said, why this is not immediately pointed out by the media is beyond me. Who cares about 'ministers of the Crown'? They're a bunch of cads, buffoons, cheats, liars, ne'er do wells, hypocrites, mountebanks and much more besides.